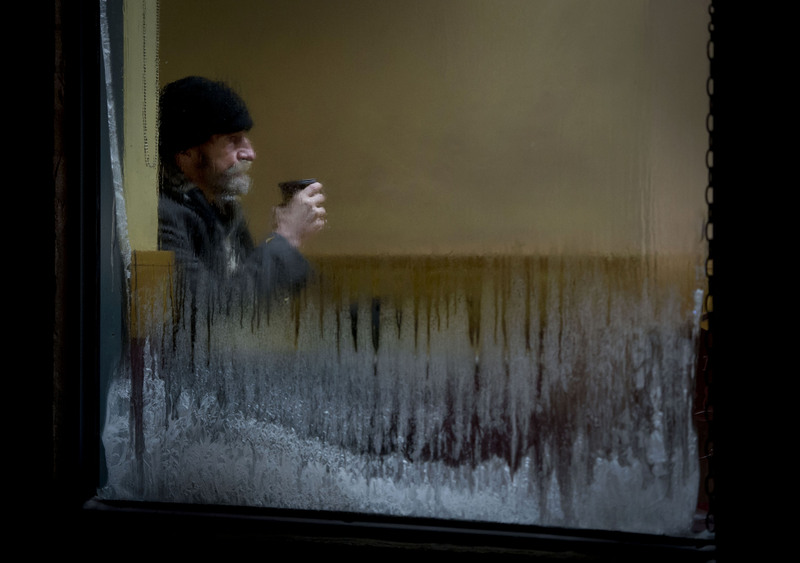 Ice forms on a storefront window as a man sits with a coffee Tuesday night, January 7, 2014. Environment Canada issued a wind chill warning and Toronto put out an extreme cold weather alert as temperatures dropped as low as -40 with the wind chill. 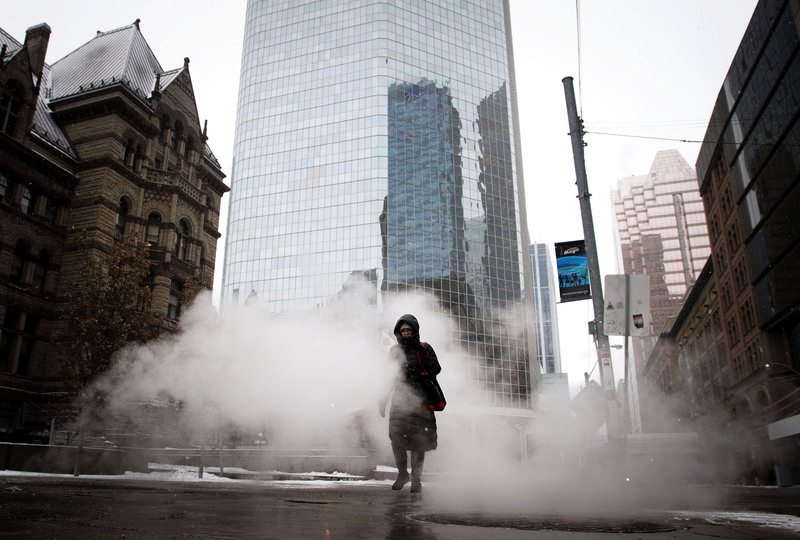 A woman walks through a cloud of steam rising from grates in -19 weather with a windchill warning of -31 in Toronto Thursday, January 2, 2014. 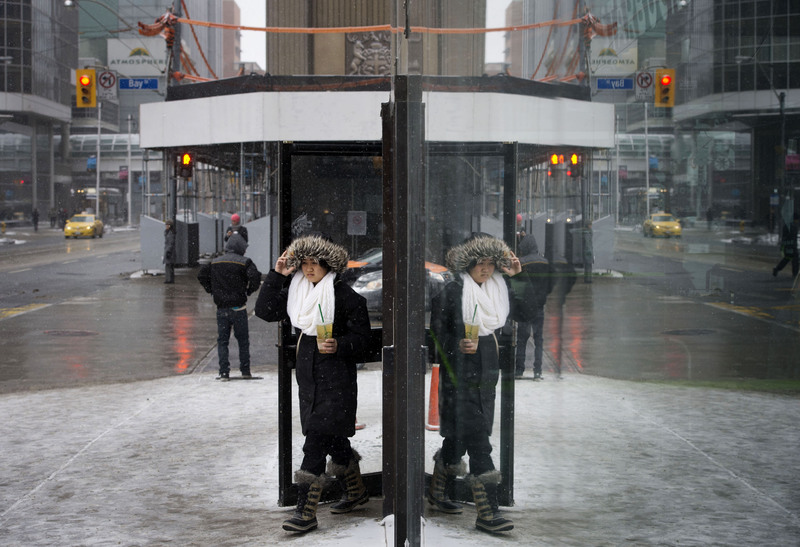 A woman holds onto her hood while bracing for the cold in -19 weather with a windchill warning of -31 in Toronto Thursday, January 2, 2014. 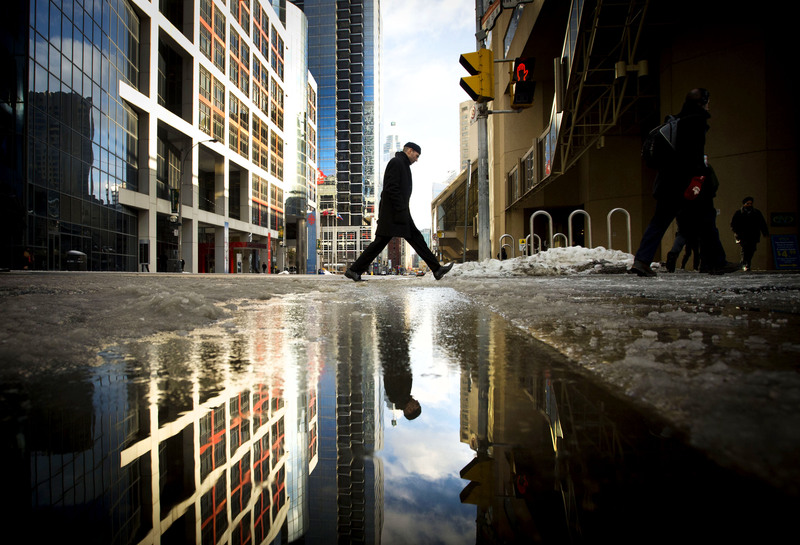 A pedestrian steps over puddle of slush that has accumulated along the sidewalk in downtown Toronto Monday, January 6, 2014. 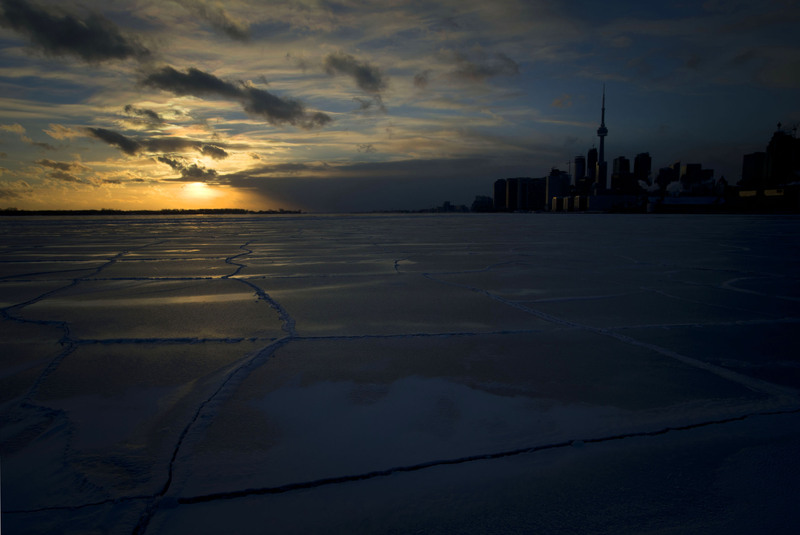 Environment Canada has issued a flash freeze warning and Toronto has put out an extreme cold weather alert as temperatures are expected to drop as low as -40 with the wind chill later today.